It has arrived and man what a coil!!! This coil will put someone life back into the older minelab machines. The coil has proven to be extremely sensitive to small gold and ultra stable over the ground . Managed to snag this 1.6 grammer on the first outing. 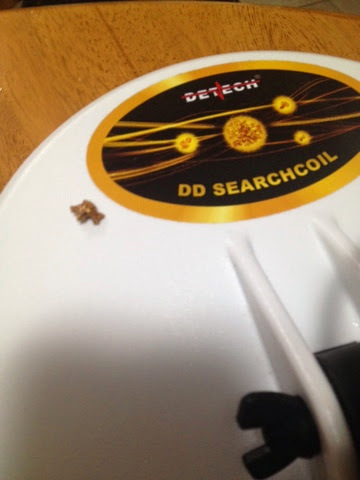 Further testing has proven this coil a real contender when hunting small gold. Still allows the use of discrimination, very stable and quiet near electrical interference. Turn your older machine into a small gold weapon! All my testing was done on a GP3000 and was proving as sensitive as a GPX running 8" mono. Should have stock of this coil soon. Order now if you want to add this coil to your arsenal!